AI is a game-changer with respect to customer service, interaction, and transitions. Customer success plays a crucial role in any organization. The ultimate success of a business relies on it. It has become increasingly difficult to compete for customers because businesses have become deliberately aggressive. AI uses data to effectively target the customer experience. The evolution of technology has resulted in nearly every customer action being converted to data. This conversion begins with lead generation and continues through to the abandonment/purchase. While some customers refrain from providing all information to a business, the rest of the data is used to analyze the customer’s purchasing patterns, inclinations, and behaviors. As more data is fed into it, AI delivers more prudent results thanks to machine learning. It can transform a pile of data into a system of intelligence that assists with augmenting the customer experience. Businesses can then identify where they receive the most and least interactions; thereby nurturing the prolific areas, enhancing the outcomes and providing personalized customer support to heighten the weaker areas. AI helps businesses augment their customer experiences by picking and choosing the best data it obtains in the course of its day-to-day operations. The customer experience is a significant area for achieving improved customer success. AI makes the CRM smarter. Streamlining procedures. CRM includes a number of different processes that relate to customer service. AI organizes these processes by helping them to effectively handle customers and prospects, which then enhances their positive outcomes. AI also utilizes data that is usually ignored by traditional CRMs, to incorporate new ideas. Generating accurate insights. AI is about anticipating issues to generate accurate insights for the CRM to function in a targeted manner. Advanced algorithms and computing abilities highlight the fact that AI represents a higher level of competence. As a result, AI delivers better results when infused with CRM. The future of AI-enabled CRM is expected to unlock more opportunities for customer success. AI-enabled chatbots render an ideal customer success paradigm. Chatbots are virtual agents. They converse with customers via chats. This new-age tech concept has primarily been used for responding to simple customer queries; however, when powered by AI, chatbots correctly interpret customer transitions toward success. Omni-channel support: Chatbots unify customer conversations across a variety of platforms that customers use throughout their customer journey. “Always-On” customer service: Chatbots never sleeps. They are awake and performing customer service, 24/7. Therefore, around-the-clock customer success is ensured. Improved application of human agents: As issues increase in complexity, chatbots escalate them. As a result, human agents are better utilized, avoiding time wasted on simple issues. Customer journey monitoring: Businesses can monitor the entire customer journey from beginning to end without interference, while chatbots perform their assigned role. Thus, chatbots instill a shrewd culture of customer transition. Brand subscription, product purchasing, post-sale engagement and feedback handling are all examples that have resulted in success. Identifying and adding new solutions to relevant issues using optional methods of resolution. Flagging the areas associated with products no longer provided by the business. Annotating already-existing solutions to new inquiries, when identified as relevant. Recommending potentially-new solutions based on the issues. 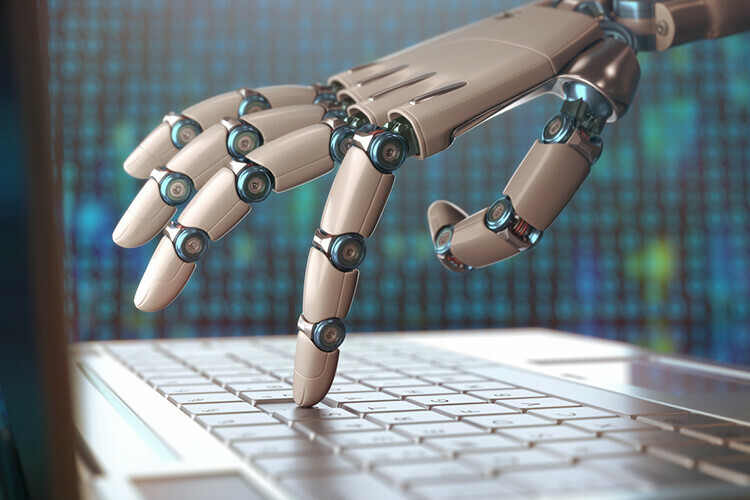 AI addition is effective at developing, consistently-reviewing and even updating the records. Customer success teams can leverage an enhanced knowledge-base for the most-effective utilization. Big data – Today’s businesses generate massive volumes of records with every action their customers carry out. This data helps discover the purchasing patterns. Algorithms – Determine customer preference predictions, the scope of self-learning, and potential automation avenues that carry automation and data interpretation potential. The automation engine triggers the desired customer journey and interprets their patterns through voluminous data throughout the customer cycle. AI significantly influences customer success management, which encompasses automation. AI is a game-changer with respect to customer service, interaction, and transitions. It has been proven to tap into any number of latent areas to intensify customer success, with all the benefits and means mentioned in this article to achieve it.